Cooling is all about keeping food fresh. The design of the Alfal Laval Optigo range is in all aspects setting focus on food quality and safety. 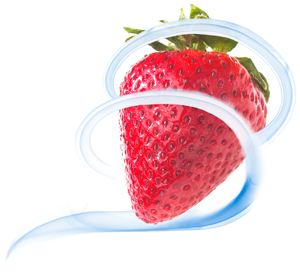 Alfa Laval Optigo air coolers have been designed for a single purpose: to keep stored produce in optimal condition. The platform offers dedicated sub-ranges for specific applications, such as Optigo CCB agricultural storage coolers in blow through execution with an optimized capacity/air ratio to prevent product dehydration. Alfa Laval Optigo consists only of materials that are prescribed for food use. By using powder coating finishing for the aluminium casing and polystyrene (PSP804), all food requirements and consumer regulations are met. All companies that produce, handle or distribute food and drinks are obligated to comply with the HACCP requirements, that are regulated by the European Union. Alfa Laval Optigo fulfils all the HACCP standards.